All newer stainless steel appliances and new granite counters Imagine a dream vacation just a short walk from the beach Maui's luxurious white sand beaches, in all year-round sunny Kihei. We are within a short walk to everything, shopping, restaurants, supermarket, beaches and more. Additional amenities include all cotton linens and towels for your convenience and comfort. Just bring your toothbrush and a bathing suit. great location, within a block of the beach, shops, supermarket and restaurants but it's on a quiet street with no road noise or lots of traffic. There is a jacuzzi tub in master bath and all bathrooms have hair dryers. The property was nice. It was close to the beach and within walking distance of stores, shops, and resteraunts. The house fit our family of 7 quite well. It was comfortable and the deck area outside we used a lot. Robyn was very quick in taking care of problems and questions we had. Overall it was a nice place to stay. 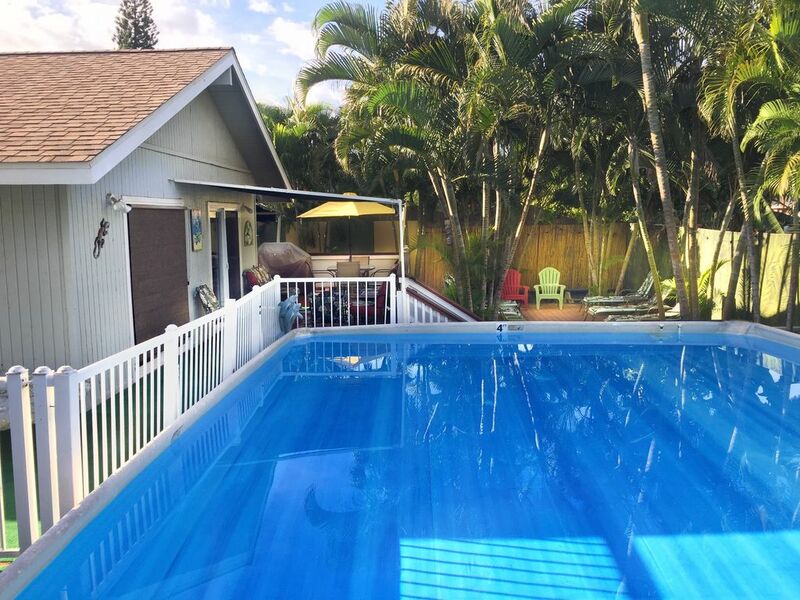 Great family house with pool close to everything! Loved this place! Came out from Boston with my sister/ husbands and kids! Close walk to restaurants, ocean, shops! Kids had a blast entertaining themselves with so much to do! Was great to come home from the beach all day and jump into the pool! Hang out on the patio! Loved having multiple bathrooms for the adults/ kids! House had everything we needed, very clean and comfortable! Would love to stay here again! Manager was friendly and accommodated anything we needed. Highly recommend this place for the price, size, pool and location! Comfortable, large, with lots of things to do within the property with short walking distances to family activities. Very clean and comfortable. Friendly owner that was thinking ahead during Hurricane Lane, allowing us extra time if our flights were cancelled, we had a place to stay. I would recommend going, we look forward to a possible second visit! Thank you! This property was so perfect for us. We traveled with 2 families and a grand parent. The house is spacious enough for 5 adults and 4 children. The house itself is a short walk to the beach and shops. We felt totally safe. The outside area is well equipped with a pool and the large lanai for sitting out which we used all the time. It is covered so offers some relief from the sun. The thing about this house that they really have everything! Beach chairs, body surfing boards, beach toys, life jackets (lots of sizes) multiple playpens, high chairs... and I could go on. The kitchen is also stocked with everything you need. Including containers for taking your lunch to the beach. Robyn and Lourdes are fantastic to deal with. Lourdes was very quick to ensure everything was done perfect for our stay. I would stay again in a heartbeat. After spending 5 nights in Oahu at a hotel it was nice to spread out with the extended family in a wonderful home. Even Grandma used the pool with the grandchildren. The home layout provides privacy but allows for larger gathering in the great room.. The outside decks are wonderful. If back on Maui I would definitely stay here again. The Hale Palama is located on Maui's South Shore, in almost all year round sunny Kihei. Maui's South Shore boasts with the most variety and breathtakingly beautiful beaches of all Hawaiian islands. PLEASE NOTE RATE IS FOR 8 GUESTS, $15 PER GUEST PER NIGHT.Kids under 5 do not count as extra guests. Hawaii tax 14.75% . .PREFERRED METHOD OF PAYMENT IS ECHECK, VISA OR MC. NOT AMERICAN EXPRESS, THEIR FEES ARE HIGH EXTRA FEES MAY APPLY IF USE AM EX. WE DO NOT EXCEPT BOOKING THAT HAVE A 3 TO 6 NIGHT GAP BETWEEN THEM AS THEY ARE HARD TO FILL, INQUIRE FIRST.